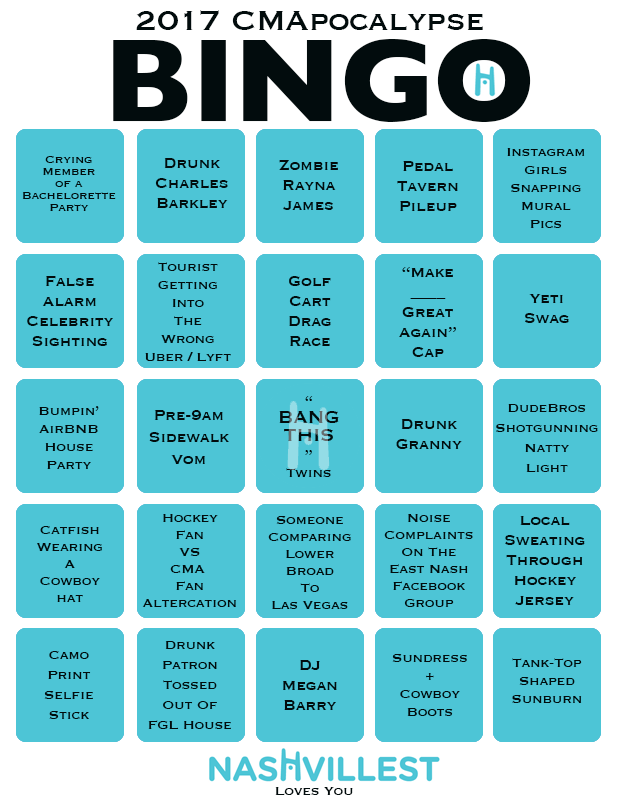 It’s a brave new Nashville, but some things never change: Your Nashvillest CMApocalypse bingo board is here! 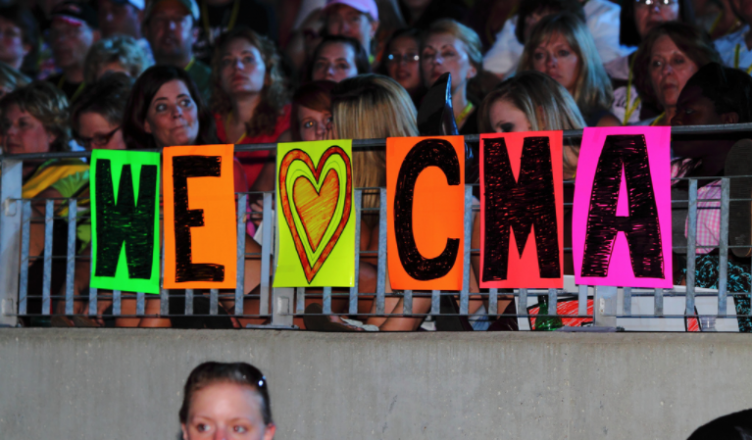 It’s a special kind of chaos downtown this year with CMAers sharing Broadway with the rapidly-expanding Preds fandom, so print yourself a trust copy of this board and YOLO on down to the festivities. If you fill it up as quickly as we think you probably will, there’s always 2008, 2009, 2010, 2011, 2012, 2013. Stay safe, drink responsibly, wear lots of sunscreen, and high-five some tourists! Special thanks to Beth Downey for designing the board!